In August 2014 I had the opportunity to travel with Jane Baldwin to Ethiopia's Omo River Valley and Kenya's Lake Turkana to work as Jane's photography assistant. My role was to assist and support Jane with her ten year project Kara Women Speak. This gave me the opportunity to travel by boat to visit the indigenous communities that live along the Omo River and depend on the Omo River and Lake Turkana watershed. The indigenous people of this region face a threat to their way of life as the Gibe III dam becomes operational, which will dramatically reduce their access to water. The images presented here are photographs I took working as Jane's assistant. 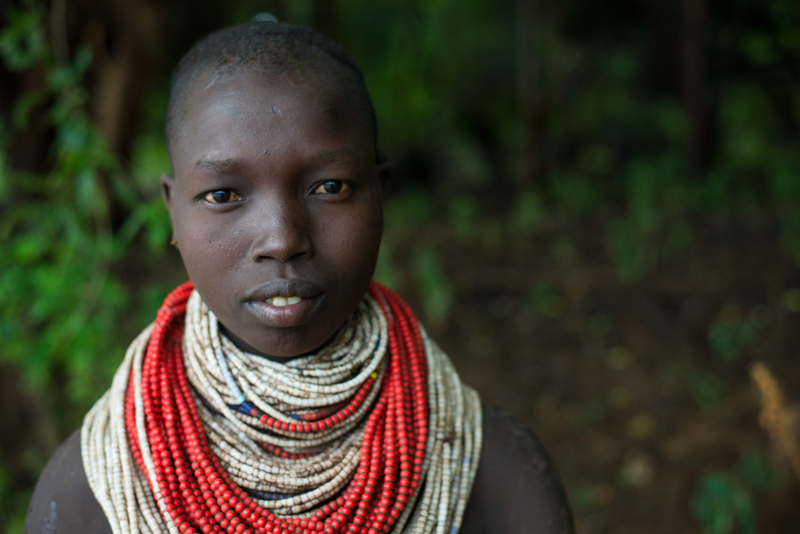 They provide a view into the lives of the extraordinary people who live on the Omo River. 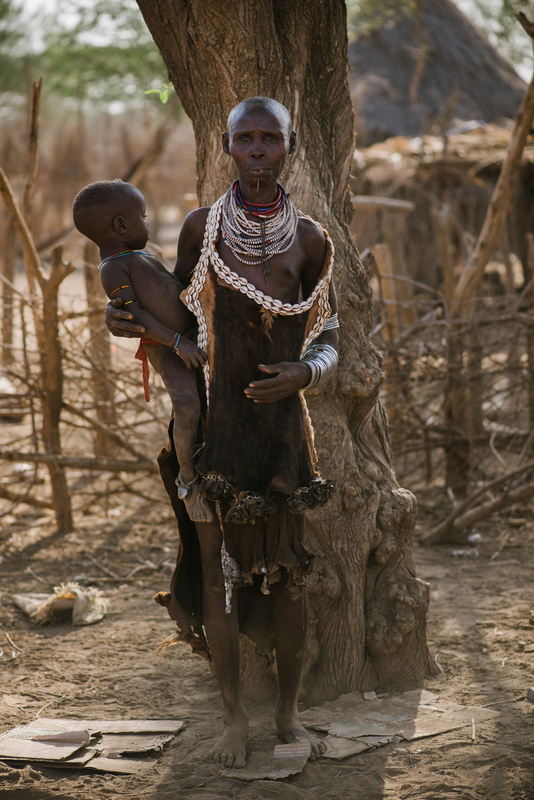 The indigenous communities that neighbor the Omo River live self-sustainably, relying on the river to maintain their agro-pastoral way of life. For the communities that live directly next to the river, fish is an important source of daily food and protein. Here a boy proudly displays one of his catches. 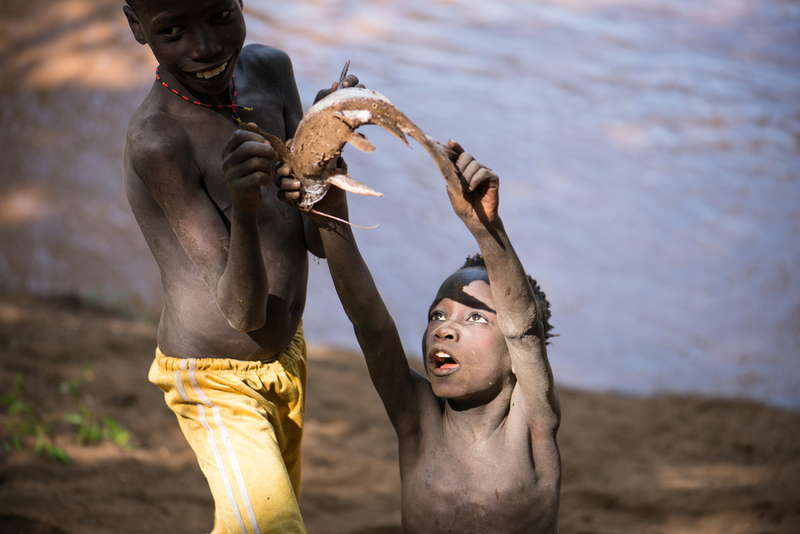 Children often spend a large portion of their day fishing and playing by the river's edge. Each indigenous community has their own unique adornment. Scarification is a bodily form of adornment that varies from tribe to tribe. The scarification on his body represents his history as a warrior. Men and women paint their bodies for a gathering. Men and women sing in the musical style of call-and-response and trade dancing partners. This building is a meeting place for the elders of the surrounding indigenous groups when important issues must be discussed. Young boys watch over the cattle as they drink from the river. A woman adds the final touches to an intricately beaded leather. An intimate task, women sometimes pluck each other's eyelashes. Food is cooked over an open fire and served in calabashes made from gourds. A young woman going to fish by the river. I'll be sharing stories and impressions from the trip, so stay tuned! For more information check out this page.